While compositional principles maintain constant importance over time, the meaning of a photograph's content can change. I love polaroid film...true polaroid film! It is an interesting composition as well, I get the feeling of leaning back as I look at this image! Very imposing! 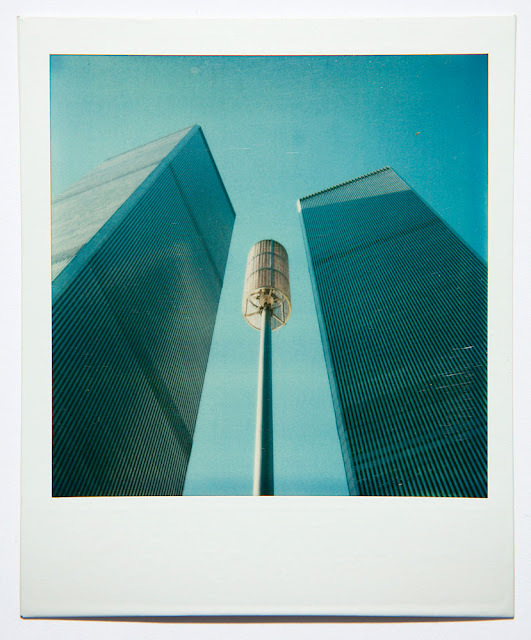 Thanks Kym, there is nothing quite like SX-70 color and feel. That B&W shot on your site, Holga, I think, double exposure?, is very engaging, painterly.